24 teams in all. 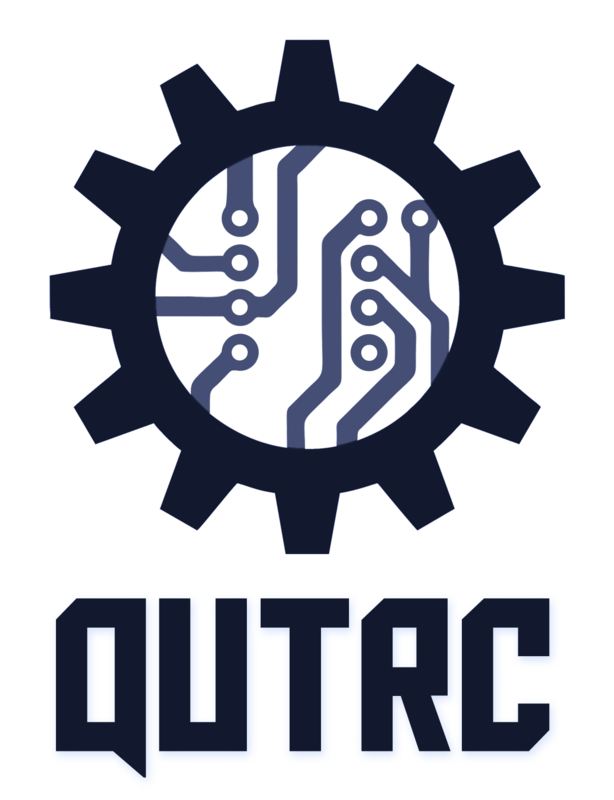 This year QUT entered two teams into NIARC: team Proteus has competed for the last 3 years now, and a new team mostly made up of first and second year students. Unfortunately, due to study requirements and the difficulty of the challenge, the new team dropped out just before the final milestone to qualify for the Live Final event, but team Proteus managed to get there with a new and improved robot. This year our design was ambitious. We went for a challenge, designing a robot with advanced features that were in excess of the requirements, but could be used as a platform for further projects in the future. The mechanical design incorporated a 7DOF robotic arm, with 3 continuously/infinitely rotating joints, tool change-out, and the ability to lift a beer at 1 metre. The arm is mounted atop a chassis as solid as a tank, driven by three omniwheels which were newly designed this year, featuring individual 3mm shaft with 2 bearings per roller, and rubberised rollers thanks to the magic of heat-shrink. The parts can be 3D printed and laser-cut for around 1/100th or less of the price of a store-bought omniwheel of the same strength and quality. The mechanical design for the arm, chassis and especially the wheels is completely parametric. Dimensions for lengths of joints on arm, radius of wheels, number of rollers per wheel, and many other features are tied to an excel spreadsheet. Changing the values automatically adds or removes various support structures as needed. We have achieved automatic battery changeover in the past, but this year the design featured something much more interesting. The robot held 24x 2200mAh single Li-Po cells in a custom designed laser-cut case with a 3 prong power connector from Samtec at one end. The batteries are mounted around the sides of the chassis and can be removed/replaced once they are dead and the system is no longer using them. The system is modular and scalable to n batteries in daisy chain. On boot each battery is dynamically allocated an address for communications, and the system then continuously adjusts itself to provide whatever target power level is set. There are big plans for future iterations of this system. Inside the chassis sits a circuit rack which contains all electronics for the robot, and all signals and power the robot needs flow through a single connector with 6 power and 24 signal pins. This circuit rack can be adjusted to suit control units other than the one required for this competition. This robot has very few “off the shelf” parts. Everything except the 3x NEMA23 76mm stepper motors, 9x Cytron G15 servos, sensors, and the obvious like nuts, bolts, and screws were designed and hand assembled/soldered by the team, and we’d like to thank the J Block Design & Fabrication Lab for helping us out with manufacturing the laser cut and 3D printed parts. You can see in the video above the various tests we performed and how the robot performed on the day. In the qualifying rounds we had a small issue with a localisation waypoint, and the claw servo overloaded and didn’t drop the payload like it was supposed to. Despite this, we qualified in 15th place, but in the next knockout round, we faced the robot that qualified second, and an error occurred with the arm control system and we were knocked out. The robot was ambitious, we pulled off everything we planned to do, but on the day some rare errors in our robotic arm control system popped up and we were unable to complete the object handling part of the competition. Nonetheless we designed an amazing platform which we can and will continue to develop. We tried and succeeded with the design, we tried and failed to reach our goals on the day, but the experience the team gained by completing the design and competing is one that none of us regret. We were knocked out by the eventual second place winners, with the winners of the competition a deserving team from the University of Wollongong. See the videos above for footage of the final match ups. Project Supervisor: Dr. Markus Eich. Dr. Eich has been a fantastic supervisor for NI ARC, providing advice, support, and helping us with many aspects of the project. We hope that he will be able to continue to supervise QUT NIARC teams into the future. The QUT Grants and Development Office. The staff at Student Services and GDO and the funding they provided were crucial for this project. Funding for this project was provided in part by the Student Services and Amenities Fee (SSAF). QUT Science and Engineering Faculty also provided some funding for this project through the QUT CyPhy lab, thanks to Associate Professor Ben Upcroft. QUT Science and Engineering Faculty Technical Services were extremely helpful to us, providing advice and procuring parts and manufacturing. The QUT Creative Industries Workshop were amazing, allowing us to laser cut several sheets and paint in their painting booths. Not many engineering students know that these fantastic facilities are available.